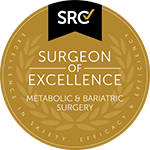 How Do You Find the Best Bariatric Surgeon in Sydney? Weight loss achieved through bariatric surgery is proven solution for treating the problem of obesity. With the advances in the field of bariatric surgery, there are now many weight loss surgeons to choose from as well as various procedures such as gastric sleeve or sleeve gastrectomy to choose from. 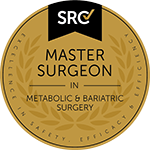 The process of finding the best surgeon in the field of bariatric surgery in or around Sydney can be daunting. An excellent place to start your search would be your general practitioner, they are trusted gatekeepers for specialist surgeons, such as Bariatric Surgeons. Your GP who is familiar with your medical history, may also have several patients with first hand experience with specific clinics and hospitals.. It is also common to talk with other patients who can give you a perspective of not only the surgeon and his ability but also the staff and pre and post operative care offered. More and more Health Insurance providers offer a list of surgeons within your location or may require that surgeons have specific qualifications and certifications in order to provide coverage. Nowadays, Dr Google can also be considered a valuable resource. Not only for information about the anatomy and procedure specifics, but with information about the Doctors, their various training and specific experience. More and more patients are sharing their experiences on platforms such as Google Reviews. While not a definitive, they can add some perspective on a particular clinic. Easy access to your surgeon if needed? Your surgeon should be actively participating in continuing education to be up-to-date on the latest developments in the field of bariatric surgery. While a subjective point, you should feel comfortable asking questions about the surgery and with your surgeon. Your surgeon should take the time to listen to you and clear any doubts that you might have. If you live in or around Sydney and would like to have your surgery performed by one of the best weight loss surgeons in practice, we recommend you make an appointment with us. Click here to know more about Dr Kuzinkovas.